I am all about grilling meat. 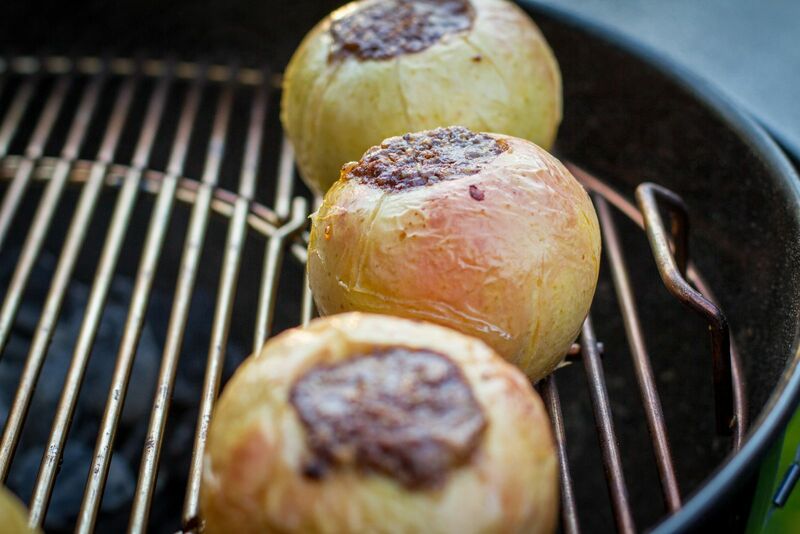 Even so, some of the more memorable meals to come off my grill are completely meat-less. Yes, as shocking as this might sound, these grilled apples will help make my case. While they are more dessert than the main course, you can eat them anytime, as I just demonstrated a short while ago by having them as an appetizer. Whoops. Do as I say, not as I do. 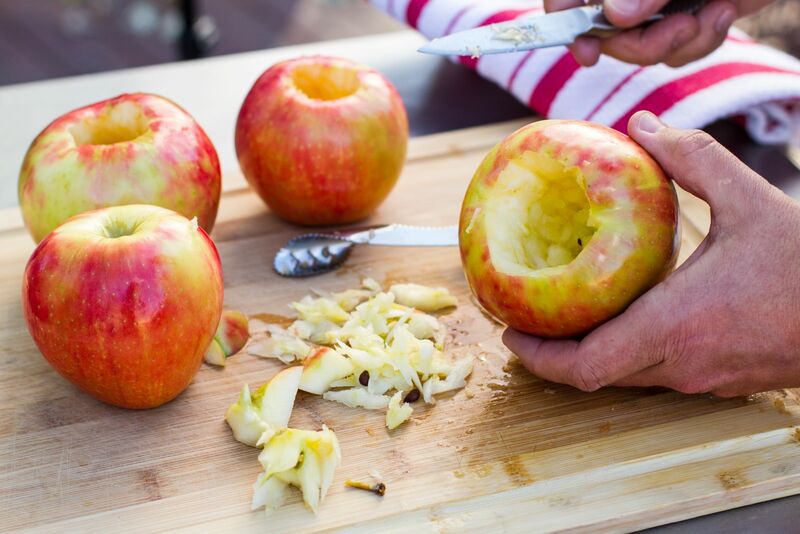 Pies are great, but taking advantage of an apple, the grill, and a sweet crunchy filling is not only easier but infinitesimally better! 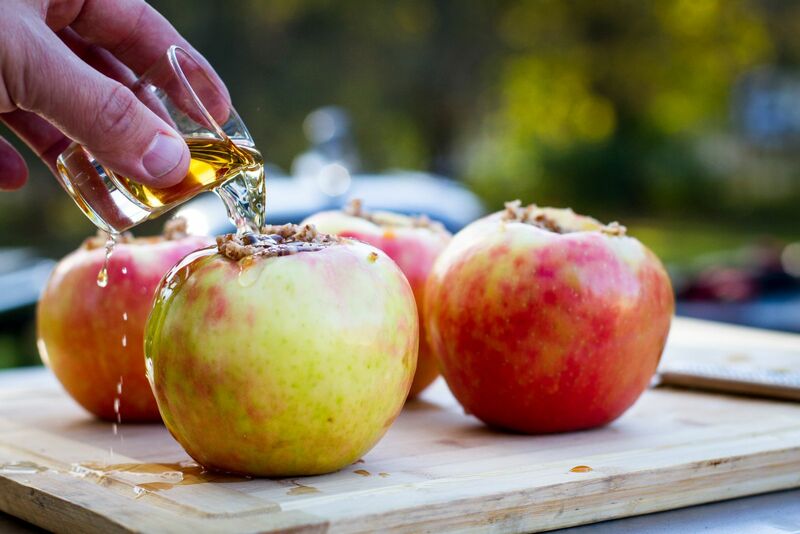 Add in some ice cream with a dollop of honey, and you have another “meatless” masterpiece from your backyard. These will not disappoint! 1. 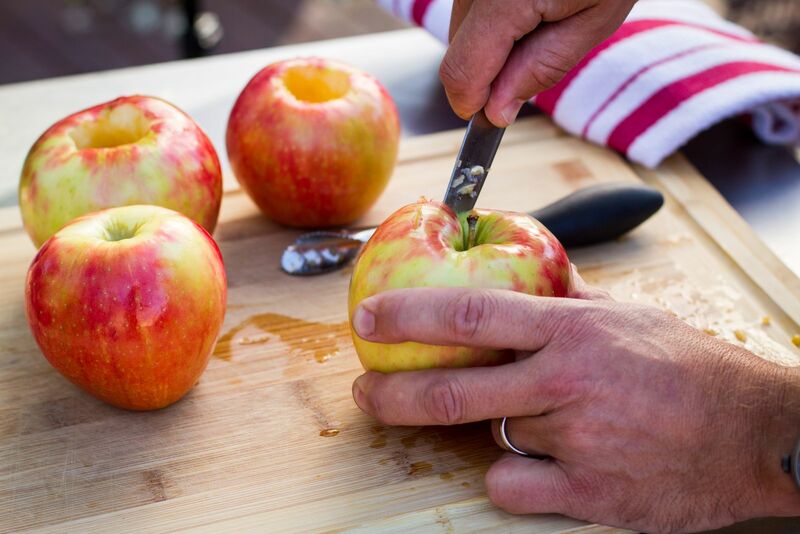 With a sharp knife, core out a large pocket in each apple being careful not to cut all of the way through the bottom. 2. Slice the butter into small pieces and bring to room temperature. 3. 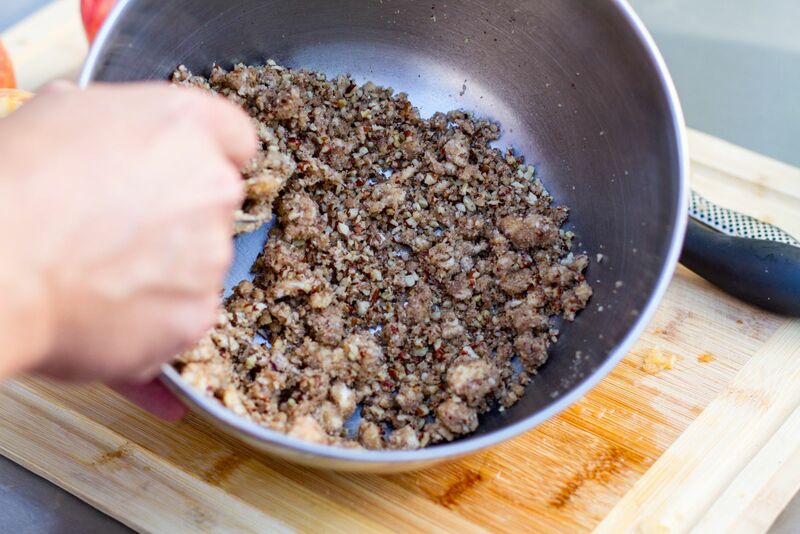 In a small bowl, combine the butter, brown sugar, and pecans. 4. 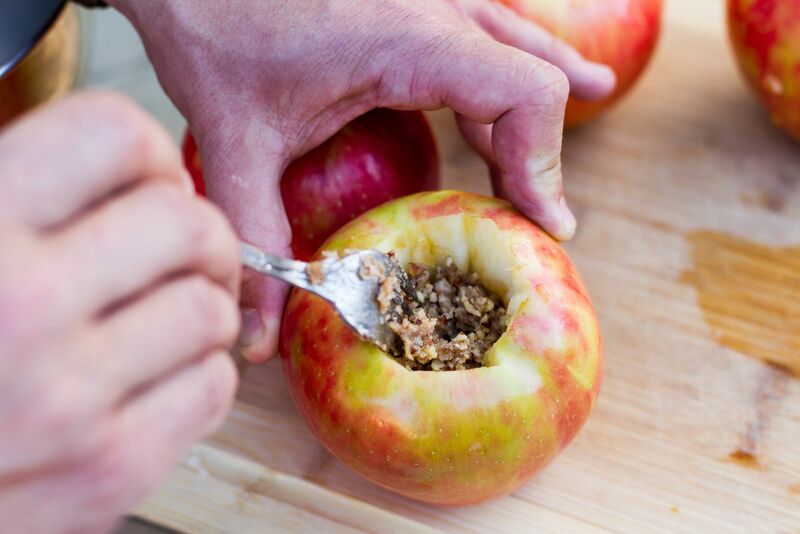 Fill the apple pockets with the brown sugar mixture, leaving about 1/2 inch gap at the top. 5. 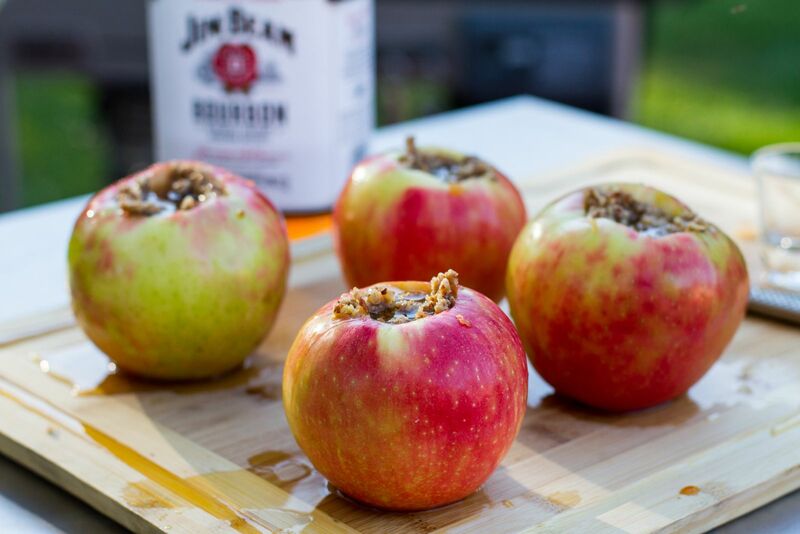 Pour approximately one ounce of bourbon on top of the brown sugar mixture of each apple. Shoot one for yourself. And maybe another if things are busy in the kitchen. 6. 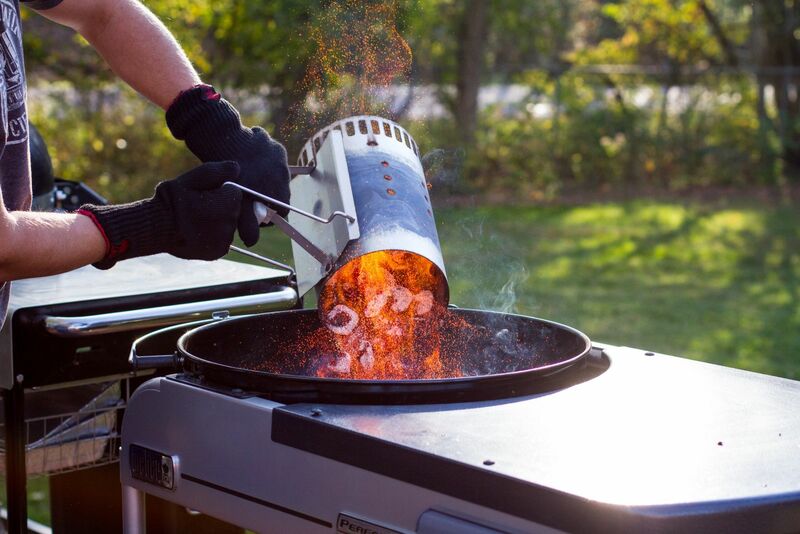 Prepare the grill for indirect medium heat (350-375 F). 7. 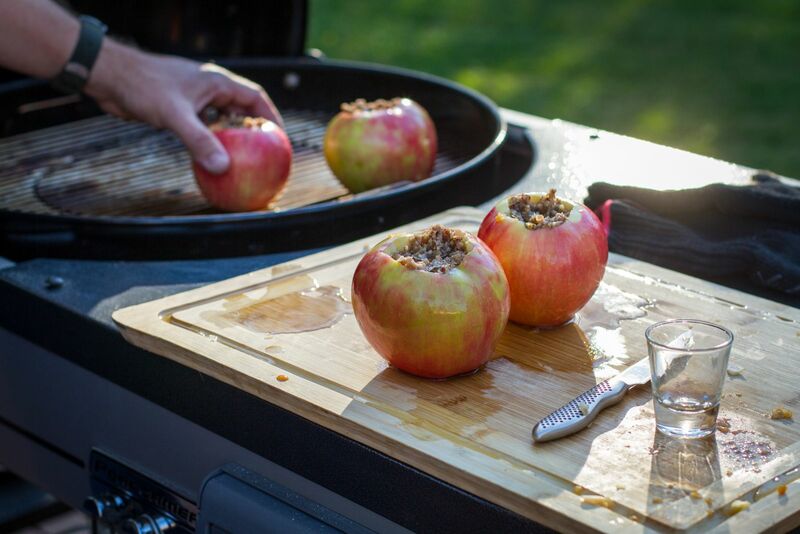 Grill the apples indirect for about an hour, or until soft to the touch. 8. 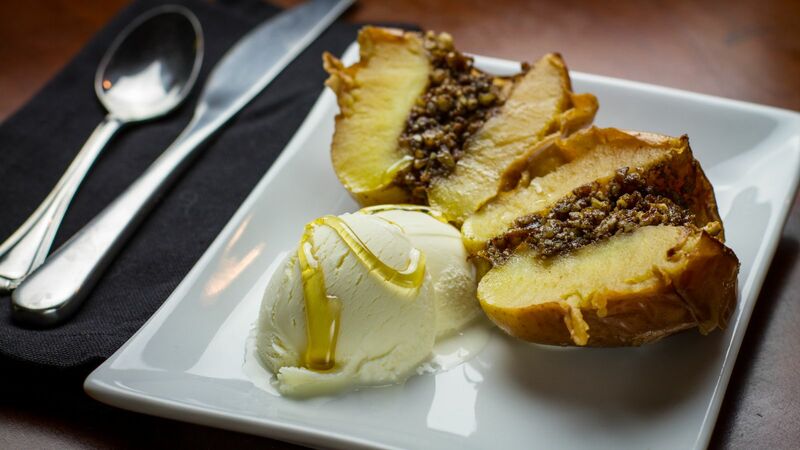 Remove and serve with ice cream and a dollop of honey.